Sorry no hobbying this time! Two more Chimeras and a box of Forgeworld are sitting in my Forge, but before i touch them, i want to get this Grey Knight list sorted! I'm not really sure what I'm trying to do with the Termies. I'm kindda taking them 'cos i want some in the army, but i can't really find a role for them. I thought Fire Support, but there are cheaper alternatives for this role. I gave the Purgation Squad a Teleport homer to help get the Termies where i want them. The Dreads. Practically they're perfect. Theres no anti-tank in this army, so TL Lascannons and TL Missile Launchers fit the bill nicely, sitting back in the table corners and targeting the armour. Its just that they don't feel right!! Ridiculous i know, but i tend to follow my gut instinct in all things, and I'm not about to change now! NO STORMRAVENS! - I hate the dam model, and I'm not spending £41 on a model i don't like! No Dreadknights if possible - I'll take or leave Dreadknights, but do acknowledge their valuable firepower and combat skills, so wouldn't rule them out completely. So what do you think guys?? I'm really stuck on this one, so would really appreciate your help! I think this list needs some help, mate. Let me see what I can do. What's your plan for Crowe? He is not an independent character and cannot ride with a squad. I'm not sure if that's why you were leaving the first squad at nine men? Purifiers get heavy weapons TWO per five. So your first squad can have two Incinerators and your second squad can have four. All free. You lose the Stormbolter shots but you aren't taking Psybolts on this squad so I imagine you are planning on BBQ-ing someone. The Terminators should probably be one large squad, which saves you 20 points on the second Psybolt Ammunition upgrade. You can then combat squad them if you like. The FAQ makes it a bit unclear as to how this currently works (combat squadding on a deep striking unit), so I would understand if you kept them separate. I don't understand the Psilencers though. They don't benefit from Psybolt Ammo if that's what you were thinking. I think you are much better off with Psycannons there, using the points you saved elsewhere. Your army needs the anti-tank on a mobile platform that the Psycannons provide. On the Purgation Squad you are really mixing up their purpose, which is, I think, a mistake. Also, you waste 20 points on Psybolt Ammo when only one model in the entire unit will benefit from it. 20 points for 2 strength 5 shots? Not wise. I don't really care for the TL Lascannon Rback either but that's just me. 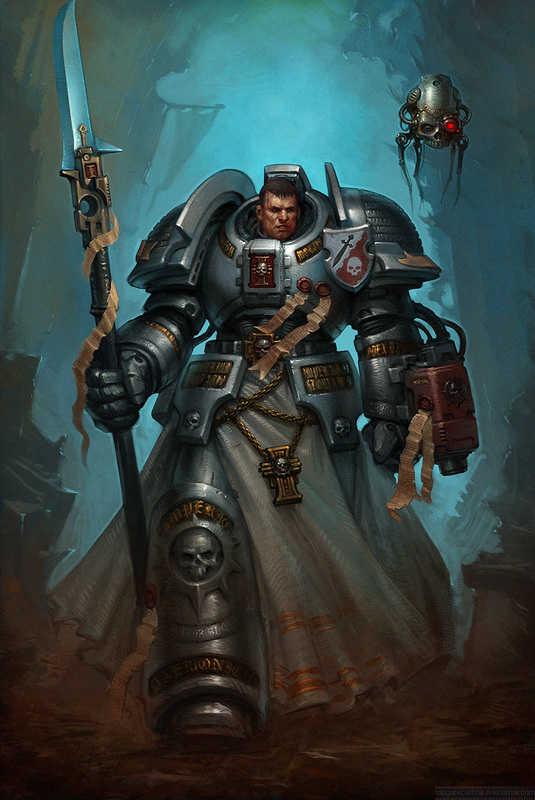 I would take a Heavy Bolter with Psycannon ammo. Cheap and adds some nice mid-strength shooting. The TL Lascannon and Missile Launcher is a really poor setup for fire support dreads in a Grey Knight army. Take two TL Autocannons and give the Dreadnought Psybolt Ammo. That saves you 15 points per dreadnought and actually improves your firepower by a lot. As it turns out i've completely scrapped this list now and gone back to the drawing board! I lacked direction and purpose when writting this list, and have decided to find that before i try again! As for the Psybolt Ammo - only after i read the small print again did i discover that they were only effective on certain weapons! DOH! Thanks for the feedback though, i really need it! Good stuff. I hope you keep the Dreadnoughts with the Psybolt though - 4 Twin linked Strength 8 shots is not to be scoffed at.